Actually I needed to implement it in my project and I encountered many difficulties in getting this feature because I hardly found any help for it and if I found something then it was just halfway useful. I recommend you to visit this before proceeding with this article. 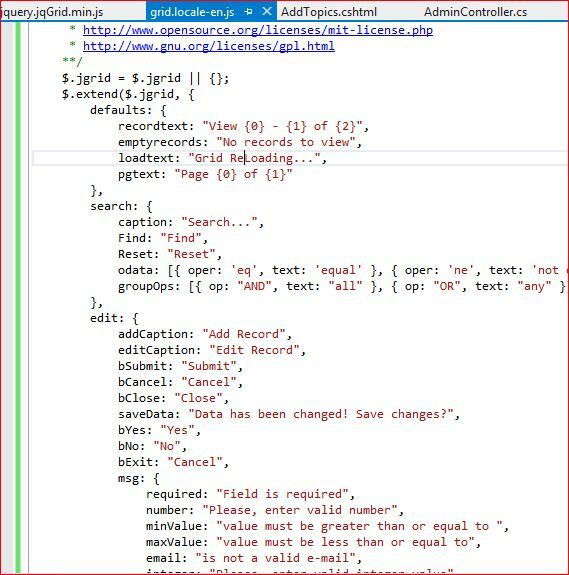 This is a second part of Integration of jqGrid with MVC4 application. 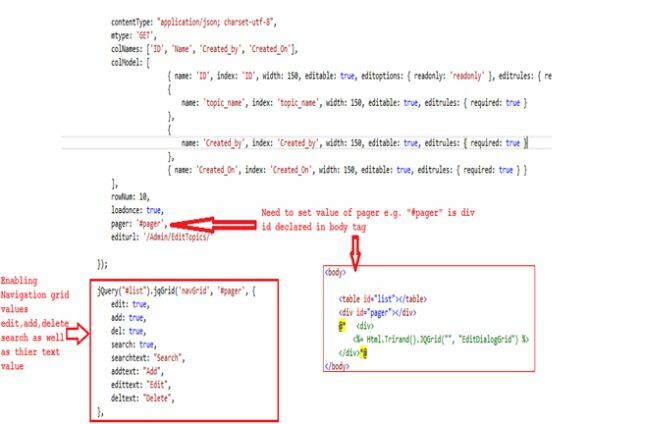 This part is more about enabling add, edit, delete and refresh as well as a little validation using builtin validation keywords. To learn more about MVC kindly go to C# Corner MVC Section or My Blog. I've developed this sample application using Visual Studio 2012 and used Entity Framework to retrieve information from the database. After enabling values we should run the application and press F5. Kindly see the following image. I have pasted this URL into a browser http://localhost:26158/Admin to get the above result. Here is the complete code of AddTopic.cshtml, though I will share the AdminController class file and AddTopic.cshtml file with you as a sample so that you could add it into your solution. Code for AdminController: After putting this URL http://localhost:26158/Admin into a browser, it calls the Index Action that returns the AddTopics View and does other operations. 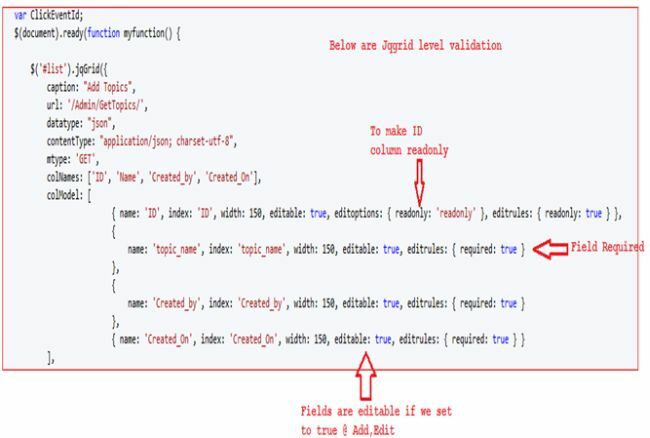 Kindly refer to the following image to understand grid-level validation. Note: You can control more textual information at the grid.locale-en.js level, like caption, Add caption, the Submit button text and much more as shown in the image below.